I bought this kit for the price of $35. It was one of the first kits that I built that open in the front. Although most English style "dolls' houses" open in the front. 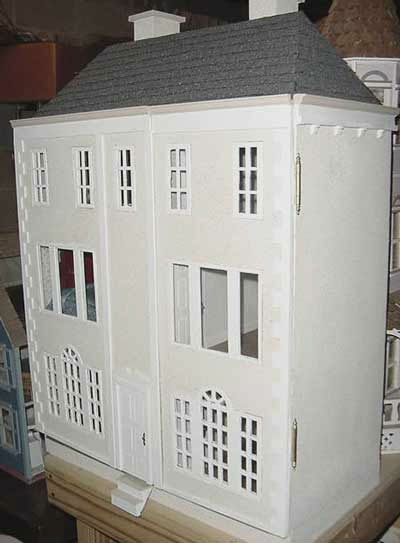 American dollhouses traditionally open in the rear. After construction, I wasn't satisfied with the arrangement of furniture in the space provided and ended up giving this house to a friend.